The Sandman Exits…Say in ain’t Mo! …And the Core Four could be down to one following the end of the 2013 season. With Jorge Posada already retired and Andy Pettitte, who is ALWAYS retiring, the news that the best closer in MLB history is retiring after this year would leave just Derek Jeter remaining of the legendary group of four. And what a run the Yankees and baseball have had watching this talented, classy, always professional athlete and human being perform on one of the biggest stages in all of sports! Yankee Stadium! To say that Mariano Rivera is an icon would be an understatement. After all he finished in the top five in the AL Cy Young voting 5 times! Although still in uniform for one more year, Rivera’s resume thus far will be a major part of his legacy. Consider this. Discounting last year due to ACL surgery , Mariano has averaged around 40 saves a season over the previous nine. If he comes close to that number again this year, there isn’t a reliever pitching today or probably EVER who will come anywhere close to the save record, currently at 608, that he has amassed. No one…ever!! And we haven’t even begun to discuss what this artist of a pitcher has accomplished in the postseason. The two stats, both records, that jump off the page are his 0.70 postseason ERA and 42 postseason saves! The nearest save total that any relief pitcher has is 18, (Brad Lidge). Rivera has dominated his position almost as long as he’s been a Yankee which, since 1995, has been his entire baseball career. Yankees fans as well as baseball purists, have all gotten a bit spoiled just having Rivera around, doing what he does so effortlessly for the better part of two decades. With essentially just one pitch, the cutter, Rivera has befuddled and bedazzled most of the hitters he’s faced. He’s performed like a well-oiled machine, seldom needing a tune-up. And so, as Mariano makes his rounds of all the stadiums where the Yanks will play this season, may we suggest that if you haven’t seen him-do so. If you have seen him-see him again. A pitcher like Rivera won’t come along for a very long time, if ever, and you shouldn’t miss this last opportunity to see a real icon. Take your kids as well, especially those who aspire to become pitchers or better yet, perhaps the next Mariano Rivera. There will never be another Mo. To have done it for as long as he’s done it is truly amazing. The only thing more impressive than his resume, is the grace and dignity he always brought to the job. I miss him already. Well said! I watched his live press conference this a.m. and the man just is class personified. Did you know that the Yankees plucked him out of Panama in 1990? I did not know that. Was that during Gene Michael’s reign? After the Boss was sent away for a few years? One of the all-time greats without a doubt and perhaps one of the ten greatest Yankees’ players of all-time in my estimation . 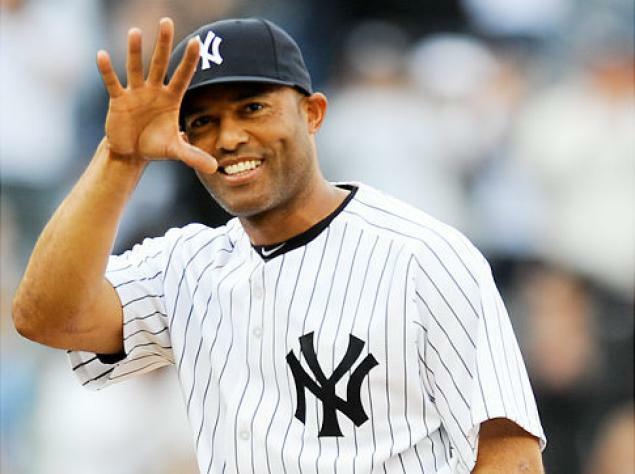 Tremendous regular and postseason career of Mariano Rivera !